Cross fit, of F45, kick boxing, they all lead to #gains. How do they compare to a game of action and strategy? 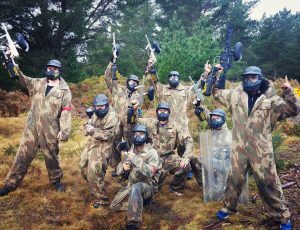 Our friends over at health fitness revolution know all about getting healthy, and they’ve realised a great way to get fit and have fun: Paintball. Here’s what they have to say about the health benefits of paintball. 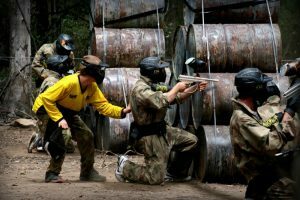 It’s an intense game, considering the fact that you’re armed with a mask, ammunition and a paintball marker, but paintball is actually a fun, interactive way to build teamwork and get some exercise. 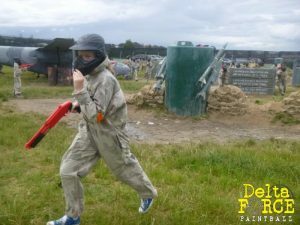 Of course, the paintball gun is loaded with gelatine shells filled with a type of paint that marks a person or object when hit, so it’s an experience that will leave you covered in colour! 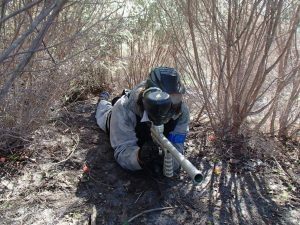 Paintball is a great activity for those who do not have time to hit the gym or want to do something active with friends. It’s also a great way to shake things up and get an intense exercise routine outside of your normal workout. 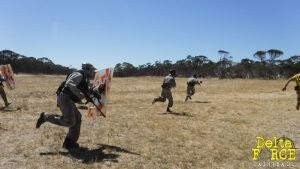 If you’re looking for an alternative activity to escape the monotonous motions of a treadmill, paintball allows players to experience a full range of movements like running, climbing, ducking and tip-toeing behind enemies. 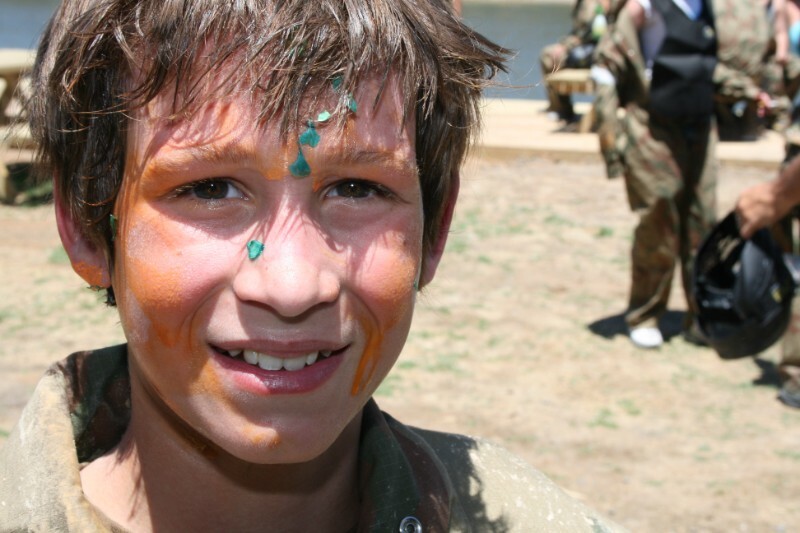 Paintball involves crawling, diving, sprinting, dodging and shooting. Because the game is so fast paced and strategic, many players get so caught up in the action they don’t even realize how the body is benefiting. People who have difficulty sticking to a workout routine often claim motivation and boredom as the primary reasons. Paintball offers participants a more enjoyable way to tone up their body without ever having to even think about it as exercise. When you play paintball you experience an incredible cardiovascular workout that boosts your endurance levels because of the intense time spent on the field. 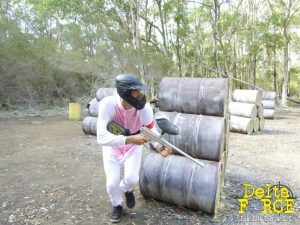 Paintball will require you to be fast while lugging around a paintball gun and with all the safety gear. 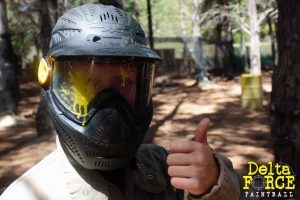 The main areas strengthened during paintball are the legs from running and squatting, the arms from shooting, and the core for stabilization of the body with all the equipment. Paintball is a team sport, which requires some amount of strategy and execution that can be done only when all the players work together. 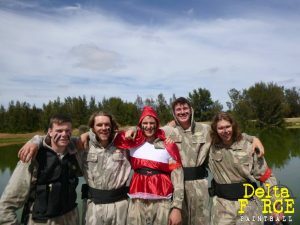 It promotes team spirit and can also improve your leadership skills. Tense situations in the game often bring out the best in many players and boost their self confidence. Needless to say, paintball also aids in weight loss. The intense exercise gained from a session of paintball can improve sleep cycles and boost metabolism. Intense workouts also result in the release of endorphins that elevate your mood. Apart from burning more calories, regular exercise through paintball also reduces risk of heart diseases, blood pressure and depression. Paintball is one of the best ways to vent out your frustration without the risk of hurting others. The endorphins released during intense exercise also eliminate mental stress and bring a sense of calm. Good teamwork is essential in paintball. Your team must work together to make strategies and plans, and then be able to coordinate them. If you’re looking to improve teamwork in your office, why not arrange a day out with your colleagues? Working out outdoors actually boosts your mood, outlook, focus and immunity. According to a study from the University of Michigan, group nature walks are linked to enhanced mental health and positivity, as well as lower levels of depression. A study from Glasgow University, showed that people who walked, biked, or ran in nature had a lower risk of poor mental health than people who worked out indoors. Finally, who can say that having a bit of fun isn’t one of the major health benefits of paintball? The rush of adrenaline sparked by running around and shooting opponents with paintballs brings back the inner child in us. 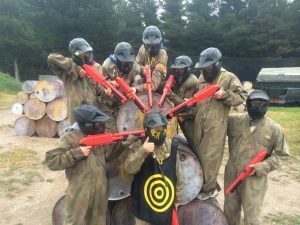 Full of laughter and excitement, paintball makes a truly brilliant day out with friends. There you have it! Paintball is the way to get fit, and have fun doing it. 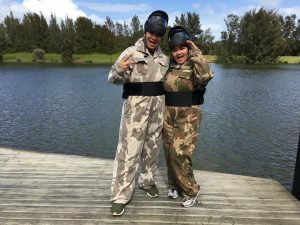 If you have a friend you want to help on their fitness journey, paintball is the place to start?